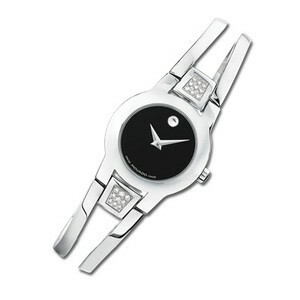 The 604982 Movado Amorosa Diamond Bangle Women’s Watch may be the perfect Mother’s Day present. This women’s timepiece is function and beauty combined. The Bangle Bracelet watch has the feel of fine jewelry. You’ll wear it everyday, with everything. The 604982 Movado Amorosa Diamond Bangle Women’s Watch is crafted of strong high polished stainless-steel. The bracelet is a bangle style, which features brilliant diamond accents at the point that the bracelet meets the bezel. The bezel seamlessly flows into the bangle, creating a softened effect. The dial is a midnight black, with small, delicate arms and the signature Movado logo at the 12 o’clock mark. This watch can go from day to evening, with ease. The 604982 Movado Amorosa Diamond Bangle Women’s Watch is all Swiss Quartz movement. It has a water resistance of 99 feet. The bezel is a stationary type, made from stainless-steel. 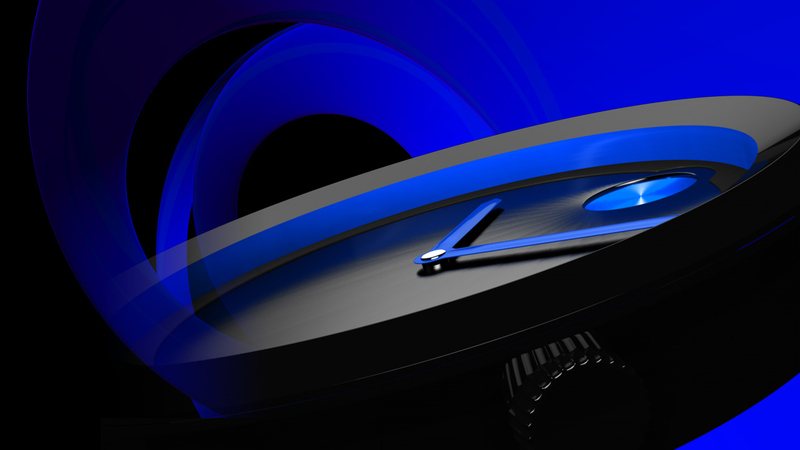 The dial is black and the crystal is a scratch resistant sapphire. The case is of stainless-steel and measures 24mm in diameter, and 5.5 mm in thickness. The bracelet is stainless-steel and diamonds, and measures 8.4mm in width, featuring a jewelry clasp. The 604982 Movado Amorosa Diamond Bangle Women’s Watch retails for $950.00 and is offered through Movado and authorized dealers.